Sometimes it's fascinating to consider that every handbook and manual we've received whether for a car, a camera, a coffee maker, or a how-to-build-your-own-bunk-bed guide had to be written by someone. It seems obvious once we think about it, but then again those bland and often confusing pieces of communication have a certain robotic quality to them that we forget that there was once a person staring at a computer screen putting all of that information together. But we rely heavily on what these writers say and how they say it so that we can complete the tasks we set out to accomplish. These writers don't consider themselves authors; they are technical writers. And they have a knack for taking the complex processes that our complex technology is comprised of and breaking them down into simpler terms. If you have a way with words and a talent for explaining something in a way that the everyday person can understand, then you have the disposition for technical writing. Enrolling in an Associate's Degree program for technical writing will hone your communication skills and provide you with the essential training you need to become that all-important explainer who many, many people rely on. Technical writers are primarily responsible for producing the content found in instruction manuals, how-to manuals, assembly instructions, troubleshooting pages, and the FAQ sections. In additional to just writing content, they commonly create and coordinate the disseminating of this technical information to the clients, customers, manufacturers, and designers or products. These tasks can seem challenging because we most typically learn about these technical details from the manuals technical writers don't have a manual to go off of and must spend time learning the exact details of their particular subject to that others can understand it. This means working directly with the technical staff and product designers, as well as independently studying and using such products. Technical writers generally work on a team to produce the final manual we end up holding in our hands. Commonly, one of their greatest partners is an illustrator who creates the diagrams we learn from equally as much as the words that explain them. Once a particular technical writing piece is completed and published, the work still continues on as the manufacturer may receive client feedback. Technical writers' partners then become the liability specialists and customer service managers who hone the writings to concise, powerful pieces of information. Technical writers most often find employment in careers related to computer systems design, although many are also writing for architectural and engineering services, scientific areas, software publishers, and particular venues in management. Within the past decade much of a technical writer's work has been published online in addition to physical manuals. 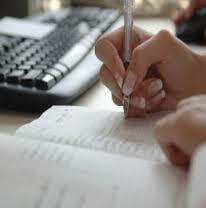 An Associate's Degree program in technical writing focuses on a certain array of skills. Courses frequently target skills such as writing instruction, grammar, problem-solving, teamwork, and logistics. Additionally, writers might obtain training in a particular field to gain a better grasp of the content they'll be composing. For example, if they will be writing content for the computer industry, then obtaining specified training in technological concepts would likely be necessary as well. So now, with the right training, you will become one of those mysterious writers who take complex tasks and break them down into simpler, more manageable steps. You will be equipping individuals with the essential information they need to operate the products and produce the results they are striving to attain. Also, when you earn your Associate's Degree in technical writing, you have what you need to become a highly sought after individual who possesses the unique skillset that industries and consumers alike depend on.